They’ll be bundled with Acer’s headset for $399 this holiday season. What good is a modern VR headset without decent motion controllers? Well, not much. So it's no surprise that Microsoft has announced its first Windows Mixed Reality Controllers, which will support the MR/VR headsets from the likes of Acer and other PC makers. Like HoloLens and various Windows-powered headsets, the controllers will rely on inside-out tracking technology, so you won't need to set up any special sensors to use them. We only got a brief glimpse of the controllers at the Build developer conference, but they're certainly intriguing. It also looks like they won't break the bank. Acer will offer them bundled together with its Windows VR headset for $399 during the holidays. Microsoft says it'll be up to each manufacturer to price the headset, but a $100 premium on top of Acer's $299 headset isn't a bad start. 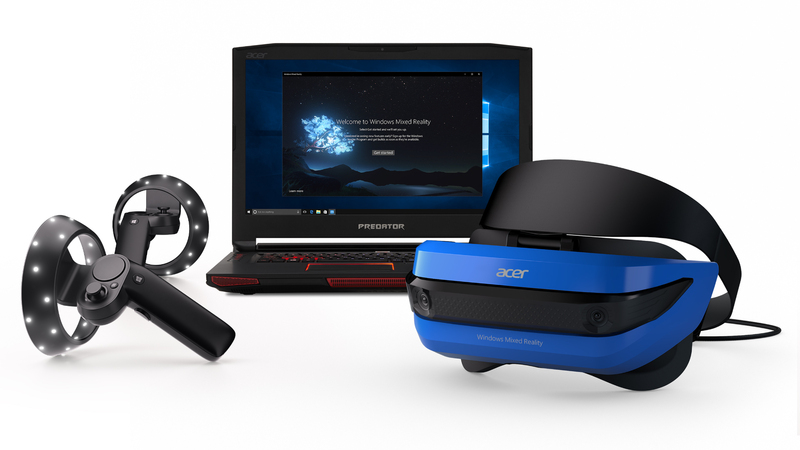 And speaking of Windows MR/VR headsets, Microsoft announced that developers can pre-order Acer's and HP's models starting today, with delivery later this summer. Acer's will still go for $300 while HP's is priced at $329.